For those who always wanted to set Crimson free, and who wanted to have Clover as a companion without buying her/being evil. Liberation of women from their oppressor! Freedom for all former slaves! I give permission to other modders to edit this as you please. I would prefer if you did not change their models to be overly sexualized, or make them caucasian, but otherwise I have no personal issues with cosmetic mods. I only kept them vanilla (basically. 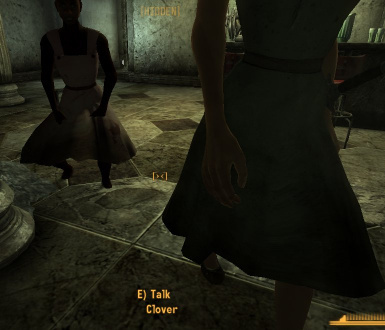 I did change Clover's dress color) for maximum compatibility. Again, you are free to do whatever you like with it. I am only telling you my personal preference. To the staff of Bethesda/Obsidian for creating the resources and engine for these wonderful games, and allowing their player base to use them as they please. To the programmers of G.E.C.K. And Foedit for giving me the tools that I needed to create this mod. 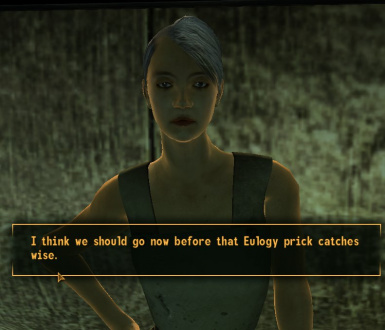 To the staff of Interplay, for giving us the Fallout world, and providing us endless hours of fun and entertainment. To gurk_meja, drg6525, Lawlder, and Earthbind for providing companion mods which helped inspire me and learn how to code a companion properly. Update: Version 1.9.5 finally released. *I have removed the extra scripts that weren't meant to be there in the first place. Special thanks to MutieBlaster for showing me what I did wrong and how to fix it. *I changed a few small issues with my quests that I didn't realize still existed. You can now talk tactics with Clover and rehire Crimson once again. I don't know how those scripts got broken. Update: Version 1.9 has been released. *I have removed that little vestigial chunk of script that causes Crimson and Clover to return to Eulogy after waiting for so many days. In fact, they will never leave a location where they are waiting at, or one that is marked as home unless you ask them to. *I cleaned up my code enough to make it more elegant and functional. *I also added a line of dialogue for Crimson in regards to the Project Purity quest. It gives her a bit more of a genuine companion feel to her. Thank you for continuing to report bugs. You are making me a better and less lazy modder in the process. Update: Version 1.7 has been released. Very little new in this update. It simply provides an updated main file that fixes it so that hiring Clover works the same as hiring Crimson. This was a bug that did not exist in files prior to 1.5, so I did not expect it or know about it until it was brought to my attention. Special thanks to KnightofOnes and nikp0930 for making me aware of this bug so that I could provide everyone with a fully functional mod. P.S., I accidentally released a version which did not have the voice files in the Sound Folder like it was supposed to be. I re-released version 1.7 to fix this, but the first people to have downloaded it may want to redownload. I am very sorry about that mistake. Update: Version 1.5 has been released. *I finally fixed Clover's messed up voice files. Not difficult, but extremely tedious to correct. *Fixed some minor functionality issues. Should be improved all around. *Changed some of the player's dialogue, particularly with Clover. 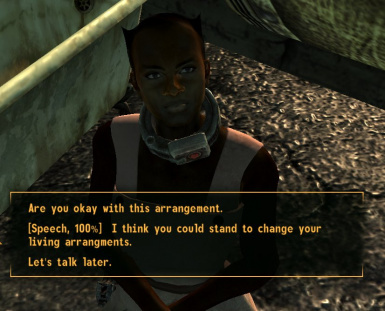 The player is not her owner, and so I thought that it would be good to make their dialogue less pushy. More to come still, and I'm open to suggestions, but nothing that is not in the spirit of the mod. My intent is to uplift and not oppress. Update: Version 1.2 has been released. *Missing sound files from Clover's speech have been replaced. *You can now replace both of their armors with any armor you choose. *Crimson will no longer aggro on you for stealing from the slaver's barracks or anywhere else in Paradise Falls once she is your companion. Rob the suckers blind! More to come in the future, so stay tuned. This mod allows you to free Crimson and Clover from the bonds of slavery, both physically and in Clover's case mentally as well. Convince Clover and Crimson to leave Paradise Falls, and they will be your friends for life. Hire them, fire them, give them a new home. Set them to essential, and let Crimson burn a path of fury with her deadly new weapon, the Crimson Tide (cheat weapon, but not too overpowered. Enabled through cheat options. 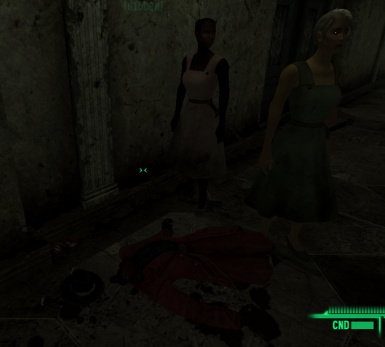 This mod was created a year ago, when I bemoaned the death of Crimson after my latest Paradise Falls massacre. It didn't seem right that in order to rid the world of slaver scum, that a slave should have to die by the same sword, defending the same sordid ideals. That's when it occurred to me that she needn't die that way. I could simply set her free. And what better way for her to use her new gained freedom than by helping to end the brutality of slavery across this wicked land. While I'm at it though, what about Clover? Is this really the life she wanted? What if she could be free too. Not just paid for by a new master? 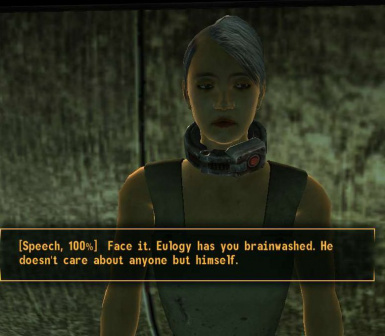 Even for the evil player, there's still the benefit of saving 300 to 500 caps. And so it was settled. Both Crimson and Clover would be freed with the aid of a little extra know how in explosives, lockpicking, or repairs, and some smooth talking (high speech.) No more ugly slave collars for Crimson and Clover. They fall off right into your pocket, disarmed and harmless. In the future, I may add the ability to remove the physical collars from the other slaves of Paradise Falls as well. Testing may be tricky as my current rig doesn't run FO3. 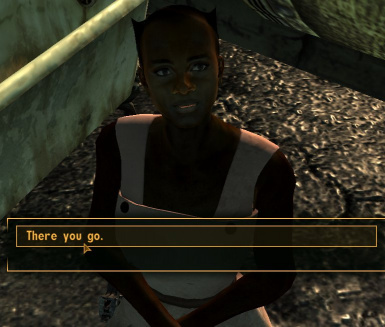 Update: Thanks to some friendly help online, I am now capable of using Fallout 3 on my current computer, which means I can beta test expansions for this once again. I can also debug any problems that you bring to me, so if anything doesn't work, let me know and I will release an updated version where it is fixed. *I am aware of a few small issues with this mod that I intend on fixing over the next few days. I will release the revised version over the weekend. If there is any issue that I do not fix, or anything that you would like me to add, please let me know in the comment section, and I will try to comply, so long as it remains in the spirit of the mod. All that is required is a legal copy of Fallout 3. FOMM is optional, but installs it no problem. 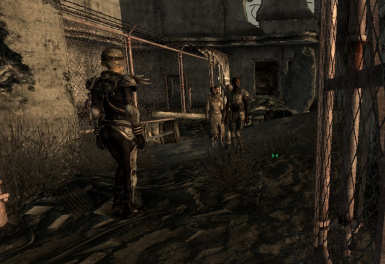 To uninstall, simply deactivate the mod in FOMM or manually remove the CrimsonandCloverOverandOver.esp file from the data folder in Fallout 3. Also remove the related sound files from the mod for a full manual uninstall. It may interfere with other mods altering Clover and Crimson, or possibly Paradise Falls related scripts. 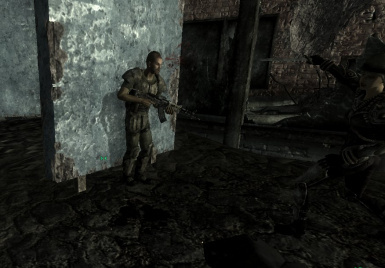 To Peacekeeper, sesom, and the internet for making it possible for me to use Fallout 3 and once again edit this and other mods in the future.